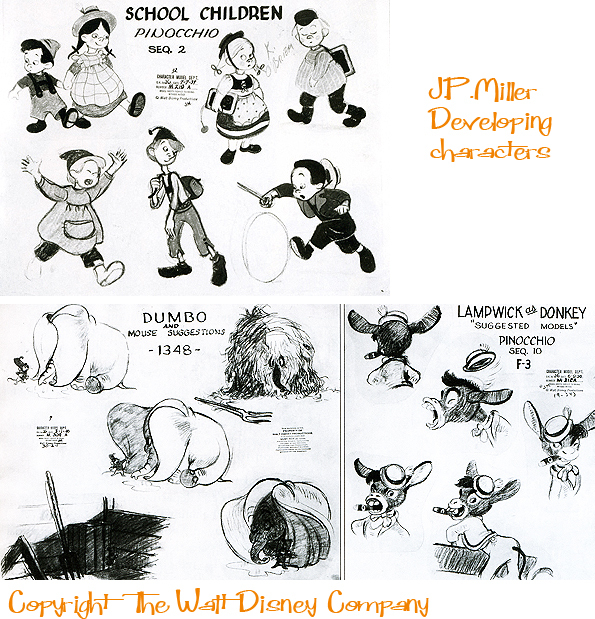 John Parr Miller was a designer who worked at the Disney studio from 1934 to 1942 as part of Joe Grant’s elite Character Model Department working on characters and environments for Pinocchio (1940), Fantasia (1940) and Dumbo amongst other films. 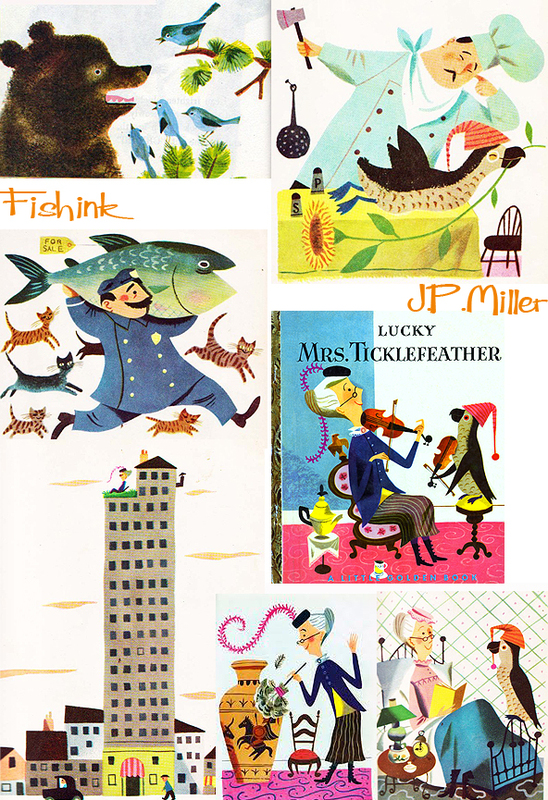 He mixed with co-artists such as Mary Blair, Martin Provensen and was also friends with children’s book illustrator Richard Scarry. Miller seemed to impress Walt Disney, and Miller’s mother was surprised to hear that one day when Walt had walked into Miller’s workplace to find him ‘resting’ on the floor that he didn’t fire him on the spot ! 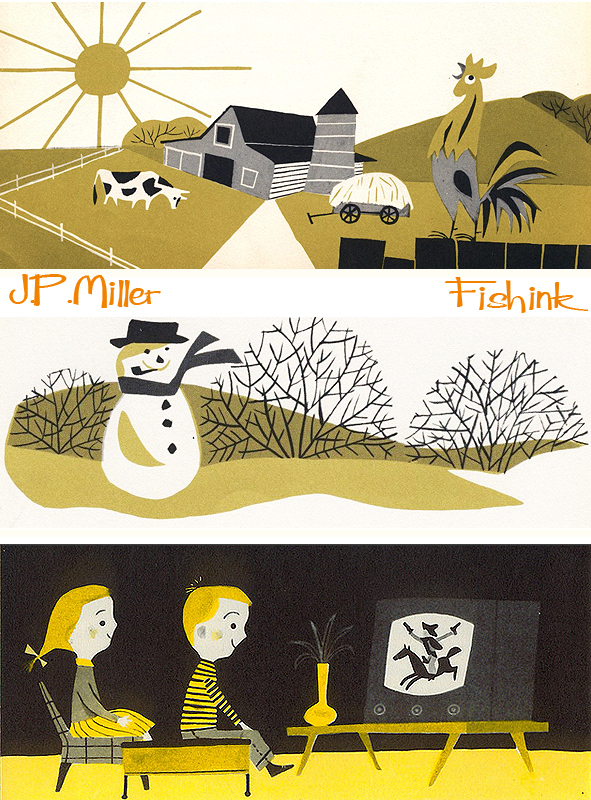 But reading between the lines it seems that Miller got a little despondent with always drawing Mickey Mouse and backgrounds so after his service in WWII, he decided not to return there and instead he became a children’s book designer and author remaining in that field for the rest of his life. 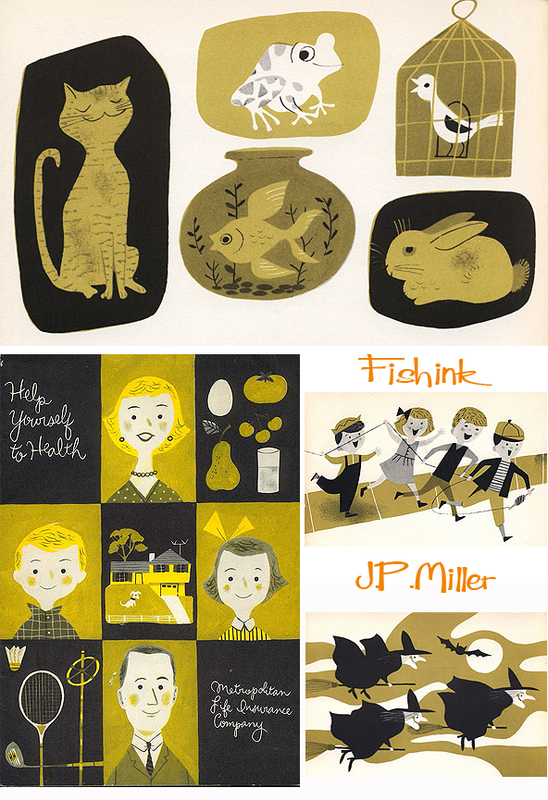 Miller worked for Little Golden Books. These were sold for .25cents in supermarkets and drugstores as well as bookstores. Small and easy to hold for little hands, colourful and well bound with simple illustrations. They caught on. The librarians of the time disliked them, believing that books were a child’s first exposure to the world of fine art. 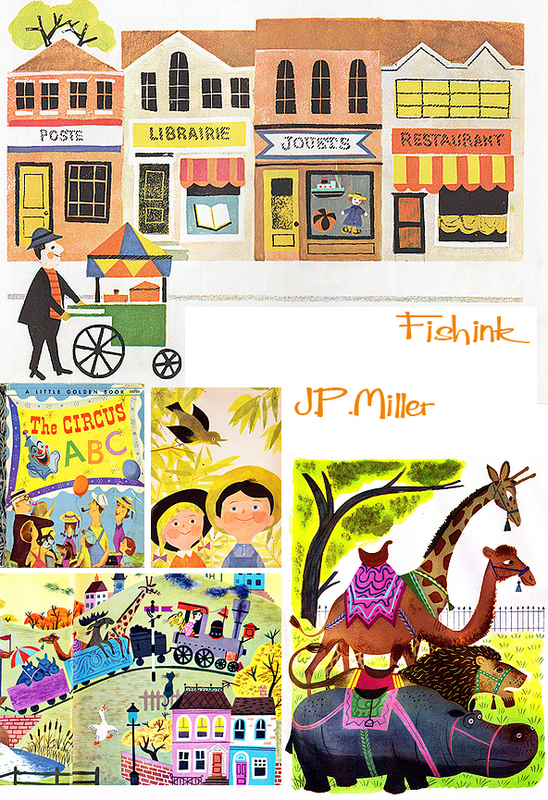 They wrote book reviews and often left out Golden Books altogether. But Golden Books went directly to the public and into their homes, bypassing the usual route of libraries altogether so the librarians grew angry and shunned them. Fortunately the public loved them, and by 1953 some 300 million Little Golden Books had been sold. Millers’s popularity grew with the company in the late forties and throughout the fifties and because he started with them in their quite early days, he had a royalty clause in this contract which meant that as the company grew, so did J.P’s salary. 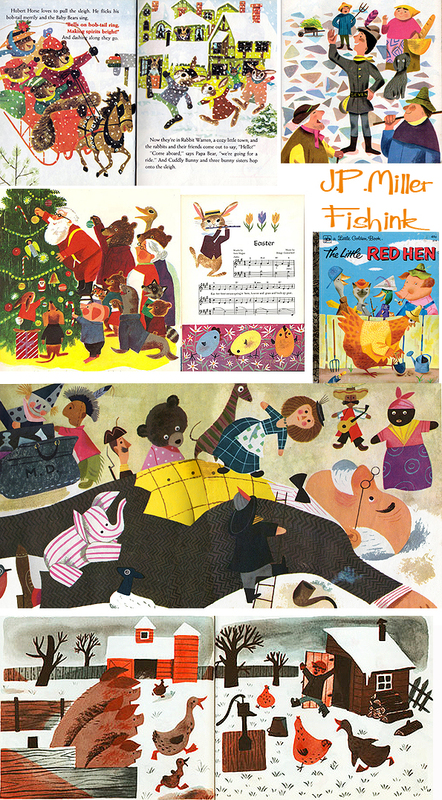 As a point of interest in 2001, Random House acquired Golden Books for about $85 million ! 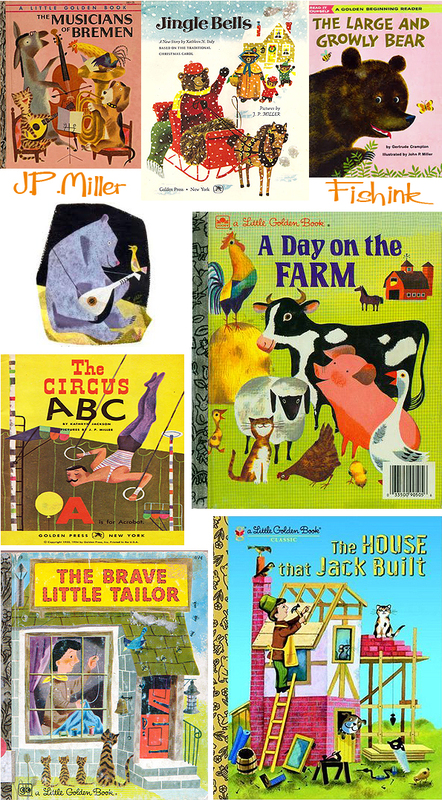 I have tried to show a small cross section of the work Miller did here as I know what a firm favourite the Little Golden Books were especially in the lives of American Children. I bet a fair few of you readers remember them with fondness ? Some superb colourful publications and illustrations. 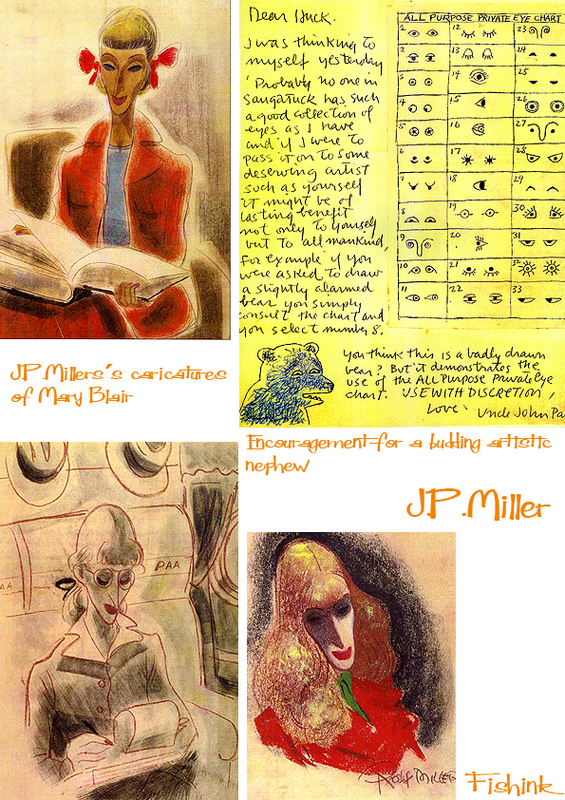 If you are interested to learn more about the life of J.P.Miller then John Canemaker has two wonderfully researched articles here and here. ← Fishink in Liverpool. FACT and The Museum of Liverpool. Thanks for this – so interesting how he adapts his approach for different purposes. I have the merry-ground story in a large compendium called ‘Storyland’ of 48 Golden Book stories (showing his work alongside Blair’s and Rojanovski, Scarry’s illustrations and others) stories published by Paul Hamlyn UK in the 1960s. 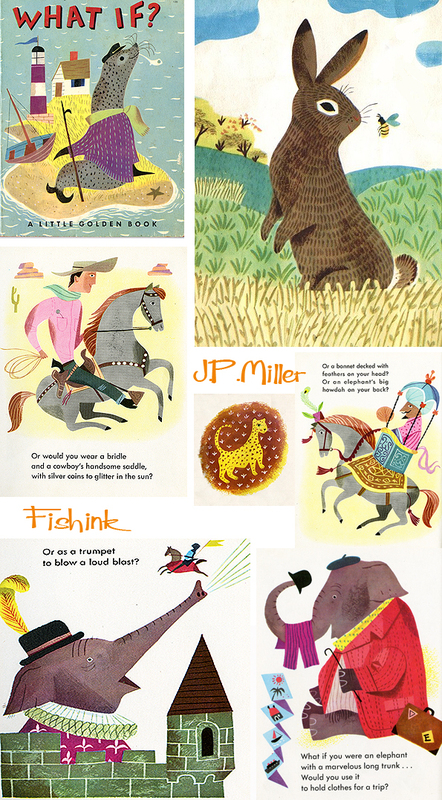 You may know the great book by John Canemaker called ‘The Art and Flair of Mary Blair” (2003) and Leonard Marcus’s book about the Golden books, ‘Golden Legacy’ – just a heads up for anyone who loves this stuff like I do! Thanks for your link and message. My name is Craig and I liked your posting too, always good to share similar thoughts and see new images from illustrators work that I admire.